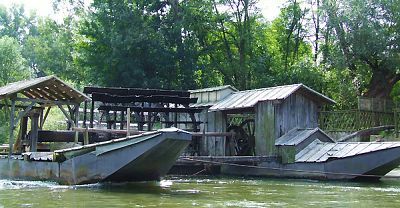 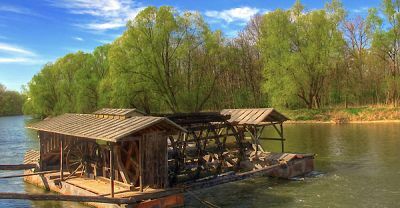 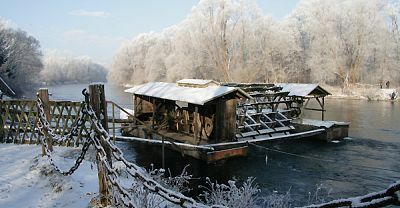 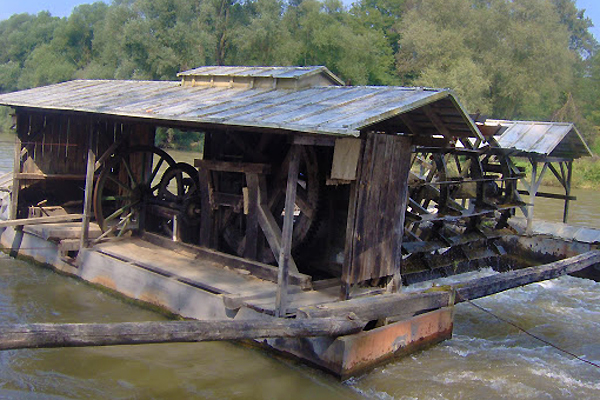 First built in 1890, the Babičev Floating Mill forms an invaluable part of Slovenia's rich cultural heritage. 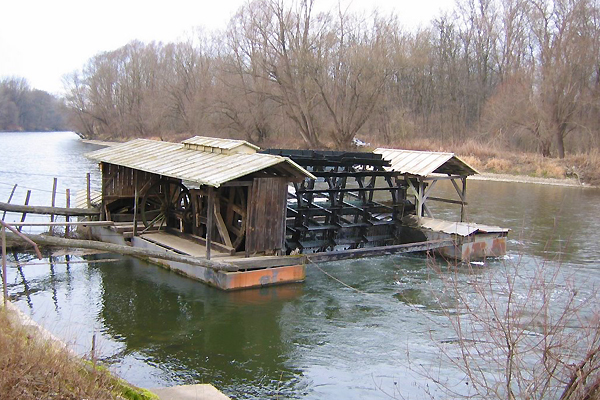 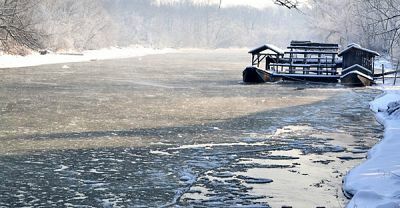 The original mill, bought by the Babič family in 1912 was destroyed by fire some 15 years later. 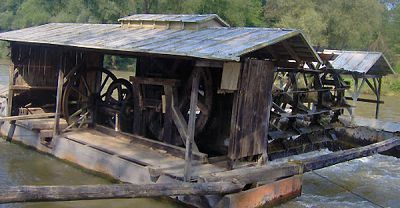 A new mill was constructed in the same place a year after this. 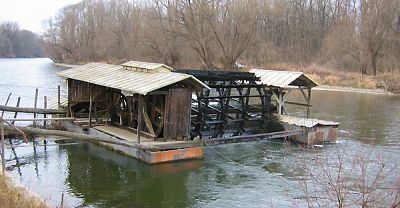 In an attempt to protect the new mill from potential disaster, the mill house was built by the river bank and the mill wheel contructed on and between two boats floating on the river, secured to the bank. 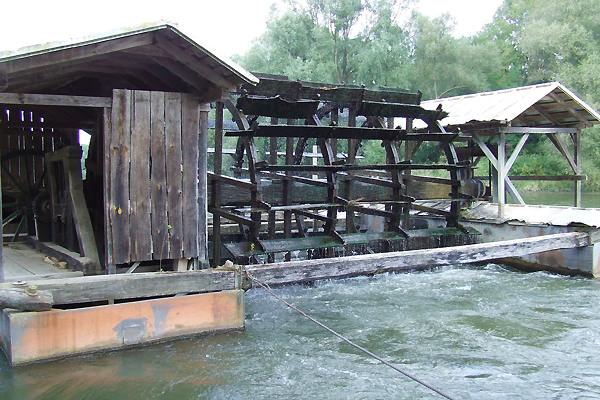 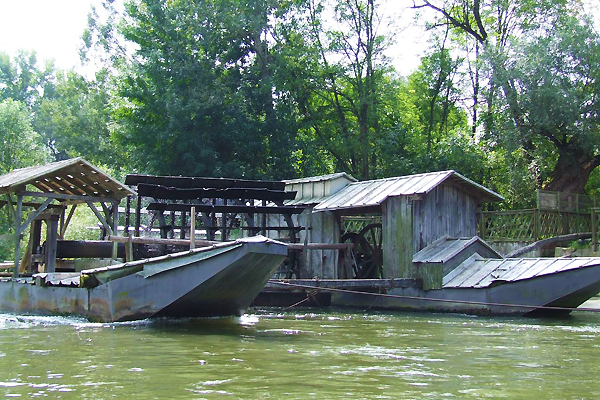 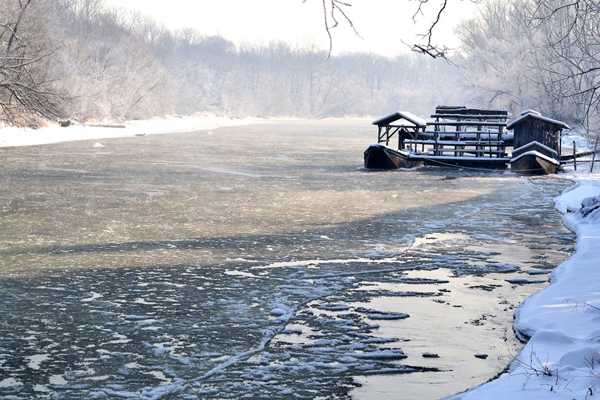 Disaster did strike and the mill was washed downstream, forcing the family to build a new mill in 1947. 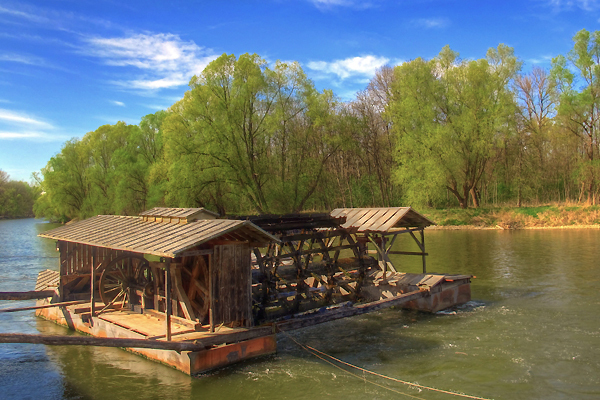 The mill seen today is the fourth generation of the mill, yet still bares the Babič name. 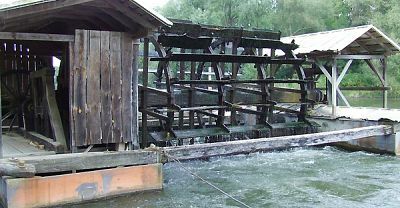 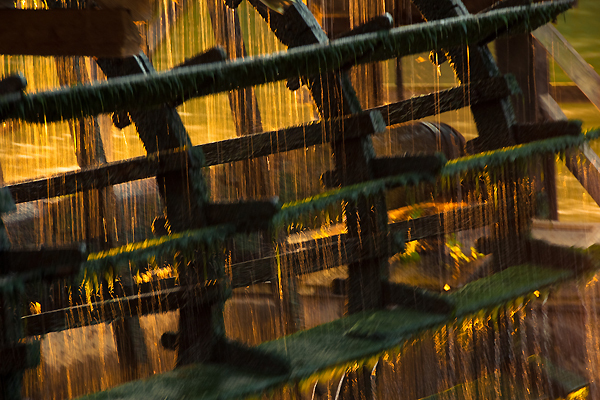 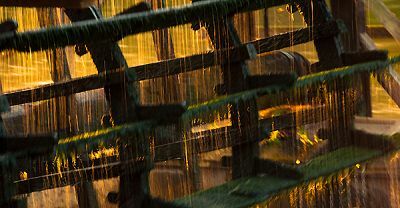 The traditional milling techniques of yesteryear can still be seen when visiting the mill. 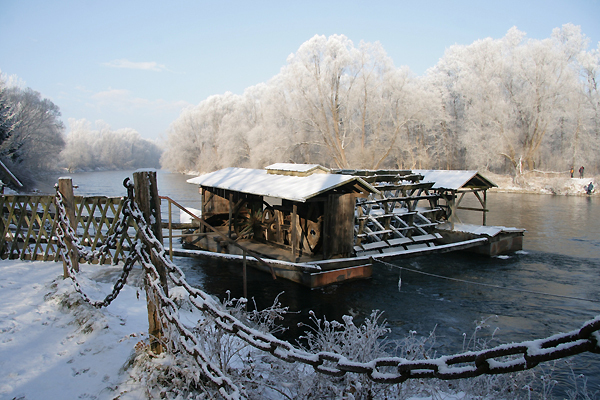 It's possible to purchase freshly milled products here.